CONGRATULATIONS DON! YOU’RE OFF TO SPAIN! A huge congrats to our lucky winner Don ! 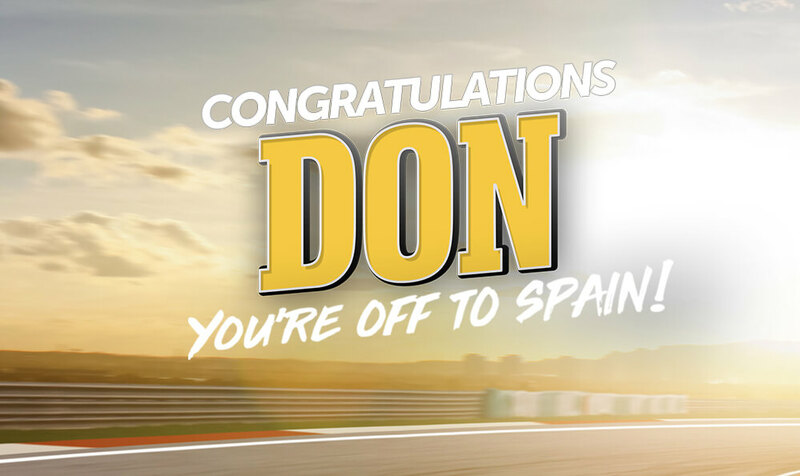 Don is pretty revved up since we’re sending him and a mate to SPAIN for the 2018 Valencia MotoGP – talk about a winning ticket! Cheers to everyone who entered. Don’t forget to grab your ticket to the Michelin Australian Motorcycle Grand Prix in October at Phillip Island. We’ll see you there! Thanks to everyone who entered, stay tuned for the announcement of our next promotion.